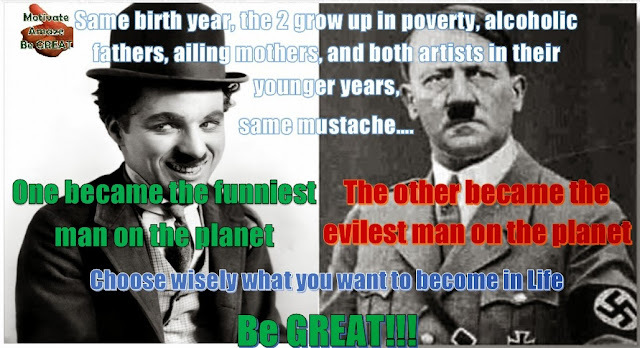 The Tramp and The Dictator - Picture Edition - Motivate Amaze Be GREAT: The Motivation and Inspiration for Self-Improvement you need! This is what happens when we turn our post: The Tramp and the Dictator - The Good and the Bad? into an inspirational photo. Hope you've enjoy it, your background is you background, you can allways make the choices in life you want.